Cosmetic has become the most important thing for woman’s life. The using of appropriate cosmetic can help you to cover up the leak of your face and also show the best of your face, so the user will be look prettier. But, the truth is, you also have to watch the age of your cosmetics, because cosmetics can be expired too. The preservative agent use inside the cosmetics in certain period can be concluded and can’t give any benefit at all. Sometimes, you feel pity to throw it if the cosmetics have not been concluded yet. But, if those cosmetics expired and still be used, can cause negative effect to your face. For example your skin become allergy to any other cosmetics, itch, redness, or even swallow. The loss of preservative cause many bacteria and germ proliferate, damage your cosmetics and make many negative effects on your face. Cream cosmetics (like blush on )is quicker to be expired rather than solid powder. In market, amount of water base cosmetics are less than oily base cosmetics. Application of cosmetic using brush or applicator is more durable rather than if you apply it directly on your face or if you using fingers. Direct contact from part of your body can spread germs and bacteria to the cosmetics. If you keep you cosmetics at cold and sealed container, your cosmetics will be more protective against germs and bacteria so the age of your cosmetics will be long lasting. 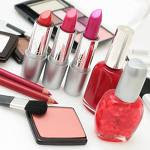 You also should throw away your cosmetics if the color is changed, crockery into powder, or if smelled. This thing was indicating that your cosmetics have broken, damaged and expired. Remember, your face is more important than keep using expired cosmetics which can make your face worse than before.